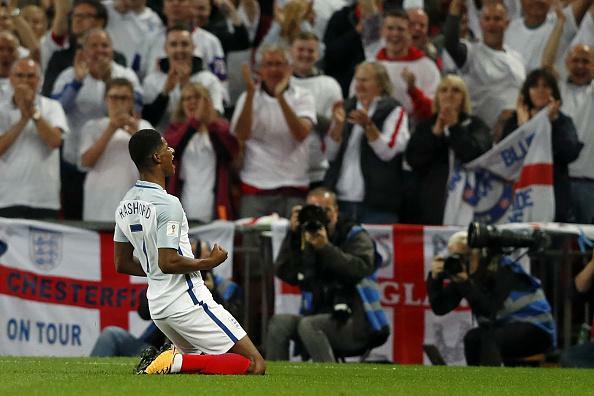 England took one huge step to World Cup qualification as they recovered from a nervous start to beat group rivals Slovakia at Wembley. The visitors surprised everyone when Stanislav Lobotka slotted home in just the third minute but Gareth Southgate's side had time to regroup and battled back through Eric Dier and Marcus Rashford. Marcus Rashford will rightfully take the blame for Slovakia’s opener. But why was he starting on the right-hand side of a midfield four in the first place? All players have responsibilities, but a player like Rashford shouldn’t be too bogged down with defensive duties. England have got a wealth of attacking talent at their disposal. Let them attack. The FA media team were caught out by having a printing deadline for their match programme before the transfer deadline. Alex Oxlade-Chamberlain, who completed a £35million switch to Liverpool on Thursday, was unfortunately listed as an Arsenal player.